This event took place on Saturday, December 1, 2018 in Malahide Regional Bridge Club. A total of 58 pairs competed across three fields. 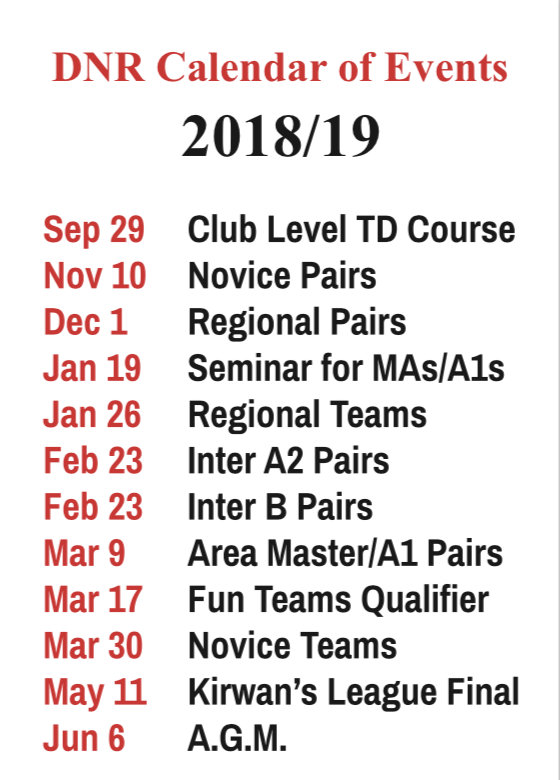 These were qualifying competitions for the national pairs events which will be held on March 23-24, 2019 in the Hodson Bay Hotel, Athlone. The Master Pairs is a qualifying event for the Davidson Cup, The Intermediate A pairs for the Laird Cup and The Intermediate B pairs for the Civil Service Cup.